Home / Posts Tagged "Ramadan"
Question 186: At what age did Nabi Musa (as) die? Please, also Let us know the story of Prophet Musa and Malak al-Mawt? Question 112: What is the wisdom and narrations of placing the Holy Qur’an on top of your head? When are the appropriate times during the year to do this? Answer 112: As we Shia follow the traditions of the Infallibles (as), we all follow whatever they have been told us in this regards. Then say “یا الله” (O Allah) for ten times, “بحق محمد” (by the right of Muhammad (pbuh)) ten times, and then continue saying each name of the Infallible Imams (pbuth) ten times. After all has been mentioned ten times, beg Allah whatever you want. So, Allah, the Almighty will grant all your wishes. 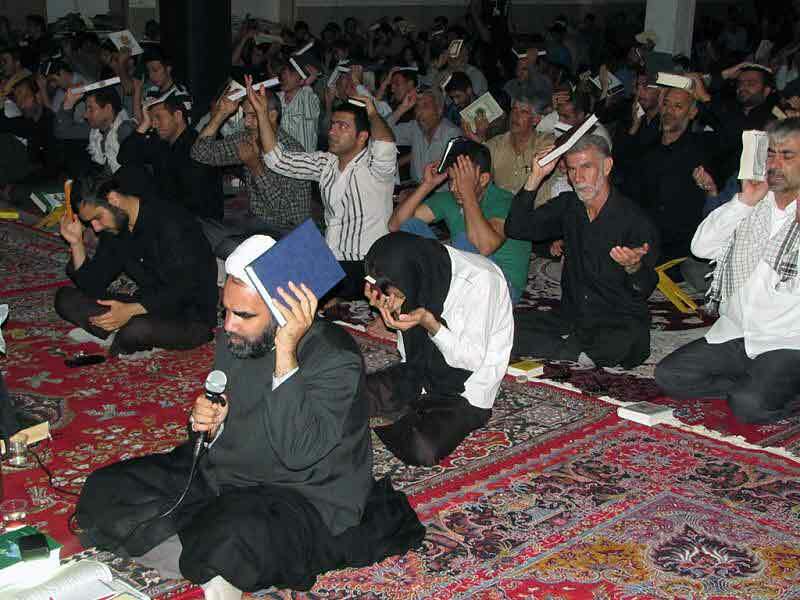 While placing the qur’an on the head. Remind yourself that true salvation can only be achieved by always keeping the rules of qur’an ahead of us to follow. The fact that we put the Qur’an on our head is a sign of respect and reverence. We beseech Allah by the thaqalayn – the speaking and the silent Qur’an. Pray for Aql/Intelligence to be Kamil (complete), it is Kashe (submits) to quran & acquires Noor (light) from it. Note: There are no restrictions limiting the times of placing the holy Quran on top of our head. However, it is more recommended to do so during these holy Nights of Power (19th, 21st or 23rd or 27th night of Ramadan / or 15th night of Shaban). Index: The sign of Laylatul Qadr, the Night of Power, answer 065. Index: Definition of Dua, Means and Intercession, answer 148.
 . Sheikh Hurr Ameli, Wasail al-Shia, Vol. 8, Pgs. 125-126; Sayid bin Tawoos, Radhi al-Din Ali, al- Al-Iqbāl bi l-aʿmāl al-hasanah, Vol. 1, Pg. 186-187. Question 065: Are there narrations that state that the sky should be completely white during sunrise, in order to confirm Laylatul Qadr? If there is, can you provide the narration(s) and its source(s)? And or are there other indications of confirmation? According to Allamah Tabatabaee, when the sun rose on the following morning, it had no (visible) rays. 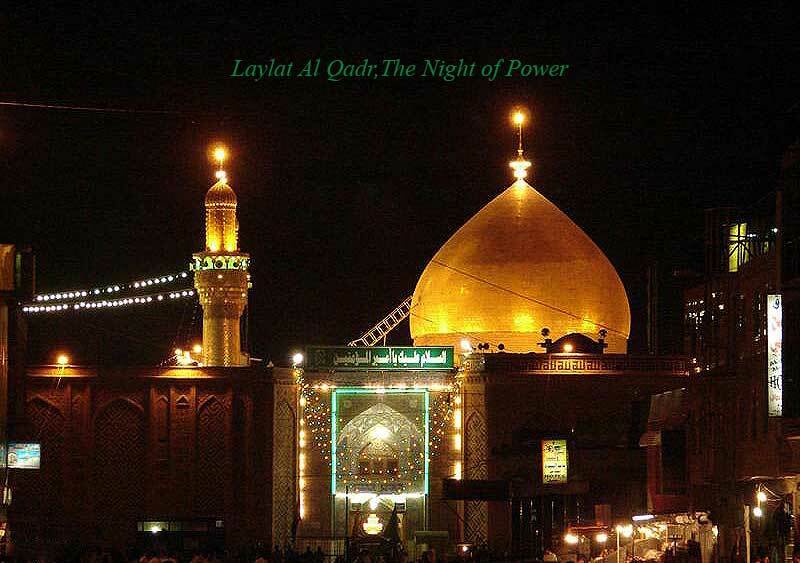 Imam Sadiq (as) said: Every year we have the Night of Power. Its days are as the same as its nights.
 . Wasaiel al-Shia, Vol. 7, Pg. 256.
 . al-Mizan, Vol. 4, Pg. 332.
 . al-Fusul al-Muhimmah fee Usul al-Aemmah (Takmilatul Wasael), Vol. 2, Pg. 165; al-Tahzib, Vol. 1, Pg. 445; Biharul Anwar, Vol. 95, Pg. 121. Question 384: Salam Alaikum! There is someone who lives in Stockholm and they work there too. But they decided during The Month Of Ramadhan to live outside the city, which that city is 50 km aways from Stockholm .But I know they can fast if they travel after Salat Aldhur ; here is the question, will the traveler’s Salat be Qasar or tamam? Answer 384: If they travel after Dhuhr (noon) their fast is treated as valid. If they have decided to stay in that city for 10 days they would have to offer their prayers tamam and fast till they are there for 10 days. Otherwise, they should offer their prayers Qasr and not to fast other days in this state. According to Sayyid Sistani (ha), if a fasting person travels after Zuhr, he should, as a precaution, complete his fast. If he travels before Zuhr and had an intention from the previous night to do so, he cannot fast on that day. As a precaution, he cannot fast on that day even if he had no intention to travel from the previous night. In both the cases, he cannot break the fast till he has reached the limit of Tarakkhus. If he does, he will be liable to give Kaffarah. If after covering a distance which would add up to make 8 farsakh on return, the traveller abandons the journey, and if he decides to remain at that place, or to return after 10 days, or is undecided about returning or staying there, he should offer full prayers. If a person abandons the journey after reaching a distance which would add up to make 8 farsakh on return, and decides to return, he should offer shortened prayers even if he wants to stay there for less than 10 days. For the shar’i distance needed to travel in order for one’s prayer to become shortened, the fuqaha (Jurisprudents) have various rulings. Some say the distance necessary is approximately 22.5 kilometers. Others say that the distance is approximately 21.5 kilometers. Another group says that it is approximately 22 kilometers. A Farsakh is equal to three miles, while a mile is equal to four thousand cubits, whose length is equal to the breadth of twenty four fingers, and each finger is equal to the width of seven grains of barley, and each barley is equal to the breadth of seven average hair of a Turkish horse (or a pony). If the distance is less than that, even if to a minimal extent, the person on journey shall offer unreduced prayer. Note: A traveler for whom it is obligatory to shorten a four Rak’ats prayers to two Rak’ats, should not fast. 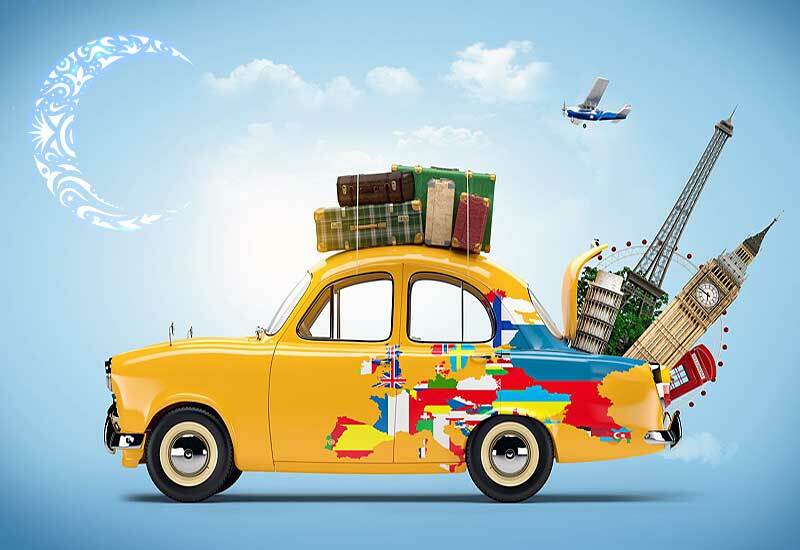 However, a traveler who offers full prayers, like, a person who is a traveler by profession or who goes on a journey for a haram purpose, should fast while travelling. Imam Khomeini, Ayatullahs Bahjat, Khamenei, Fadhil Lankarani, Safi and Nouri. Tawdhihul-Masa’el (of Marja’s), vol. 1, issue 1272. Makarem Shirazi, Tawzihul-Masa’el (of Maraji’), vol. 1, pg. 684. Tabrizi, Sistani and Vahid Khorasani, Minhajul-Salehin, issue 884.
 . The Official Website of Sayyid Sistani (ha), Prayers of a traveller » Prayers of a traveller (Musafir) & Fasting by a traveler; Tahrir al-Wasila of Imam Khomeini (ra), Vol. 1, Chapter on a Traveler’s Prayers and its Relevant Rules.
 . The official website of the office of Sayyid Sistani (ha), Fasting » Fasting by a traveller.